Do 1 in 3 women really have an abortion? 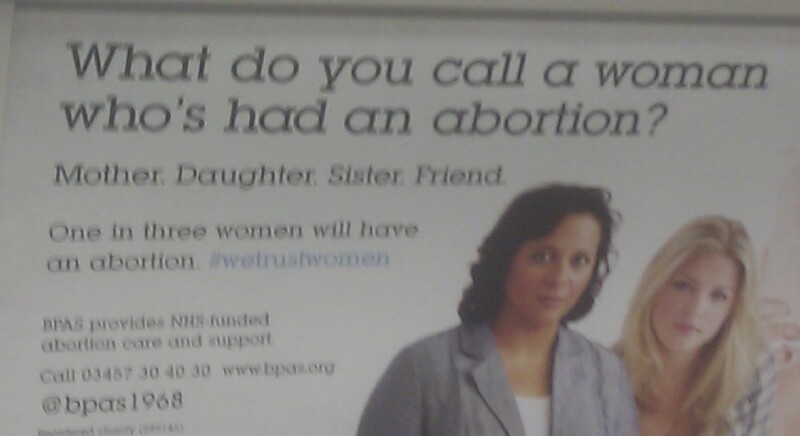 My attention was recently attracted by an advert for the British Pregnancy Advisory Service in which they claimed that 1 in 3 women will have an abortion. An allegedly good news story today is that "wages catch up with inflation". It's a while since I've seen a more misleading statistic. Wages have not caught up with inflation at all. What has happened is that the annual rate of increase in wages (now 1.7%) is greater than the annual rate of increase in consumer prices (now 1.6%). However, given that prices have been increasing faster than wages for some years now, wages have quite a bit of catching up to do. A 0.1% advantage in the rate of change will not come close to doing that. I gave a talk yesterday at a CCRA event about big data, and promised the audience I'd post my slides on my blog. So for the benefit of anyone who was at the talk who wants a record of what I said, or even for anyone who wasn't at the talk who is interested in a few of my random thoughts on big data, here are my slides. In a recent post about chapter 1 of Ben Goldacre's “Bad Pharma”, I mentioned that the chapter included a strange story about how the Cochrane investigators tried to get access to data on Roche's anti-influenza medication, Tamiflu, which would require a whole blogpost by itself. When I started to look into the Tamiflu story, I realised I was wrong about that. It's actually going to require 2 blogposts to tell the story. This is the first of those posts. In this post, I shall tell the story of the utterly surreal interactions between the Cochrane investigators and Roche. I shall save the question of what the evidence actually tells us about the efficacy of Tamiflu for another day. We're all familiar with zombie statistics: widely quoted, but hopelessly wrong, statistics that just refuse to die. I think I've just witnessed the birth of a new one. Thanks to Anna Sharman on Twitter, my attention was recently drawn to a rather implausible statistic on the Guardian website: "The self-employed face average debts of 18.6 times their annual income". I recently wrote about some of my thoughts on Ben Goldacre's new book, Bad Pharma. As I mentioned in that post, I have quite a lot to say about that book, and today I'd like to share my thoughts on chapter 1 of the book. Chapter 1 of Bad Pharma is entitled “missing data”, and tells us about the problem of incomplete publication of clinical trials. The overall message of this chapter could be summarised as follows: it is not possible for doctors to practice evidence based medicine if the evidence is not available to them, and the evidence is frequently not available. I'm normally a huge, huge fan of Sense About Science. They do fantastic work in raising public awareness and understanding of scientific issues. In a world where people are bombarded with pseudoscientific nonsense from politicians, pedlars of quack 'alternative' treatments, and the like, their work is necessary, important, and usually very well executed.